Having a good audition is the only way to ensure that you will book an acting gig. Whether you are auditioning or your child is auditioning, there are certain rules of decorum that you will need to take into consideration. An audition is similar to a job interview. There are a number of things that you need to be aware of before ever setting foot in a casting room. Additionally, you need to be sure to prepare your child on how to behave properly. If you are a parent to a child actor, be aware that you are being judged as well. Casting directors want to know right off the bat that if they hire your child that you will be easy to work with as well. While you can only prepare your child's performance so much before they set foot into the casting office, there are a number of things you can do to help increase the quality of their audition and the likelihood that they'll get the part. Below is a list of things parents should not do at a casting call. Although it seems obvious, you would be amazed at the number of kids who walk into a casting office snapping their chewing gum. Now, unless chewing gum is an actual character choice you and your child have decided upon, this is not something that will go over well with a casting director. When you teach your child about how to behave in a casting room, make certain that they understand both proper etiquette and how to make eye contact with the casting director. It doesn't mean a scene should be entirely played out while looking at the casting person, but when your child introduces themselves, they should make direct eye contact, have confidence and be confident in who they are as people. Your child should do three things when they enter a casting room. 1) They should clearly say hello and make eye contact with everyone in the room. Keep in mind, more than likely they won't need to mention their name as everyone in the room (if there is more than one person) is expecting your child to enter. 2) They should perform their scene. 3) They should say "thank you" and goodbye and exit the room. They shouldn't ask how they did, or when to expect a callback/any such question. The casting director will find them if they need to. Everyone makes mistakes in auditions -- this is completely expected and natural. Casting directors are often quite patient and understand that the actors performing for them might be quite nervous (especially those who are first timers). Although it is okay to ask to start over if you make a mistake, avoid making excuses. Casting directors will usually prefer that you just keep going. Even if their poor performance is a direct result of something, you did. Assume every casting director you meet has not only heard every excuse in the book dozens (if not hundreds) of times, they won't care. They simply have too many other potential candidates to see and wasting time listening to your lame excuses why little Jimmy (Timmy, Donny, Robbie, insert your child's name here) doesn't know his/her lines is not something any casting director wants to do. A casting session is usually set up for one particular type of child. If you bring your kid's brother or sister because you "think" the casting director may want to meet them will almost guarantee that your child will not be considered. Focus your attention on the child you've chosen to bring, and that's it. 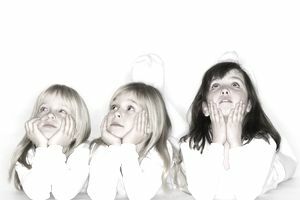 If the casting director asks about your other children, then you can speak about them. But unless they DIRECTLY mention that they want to see them, chances are they are simply making conversation to make you and/or your child feel more at ease. If your child is simply too tired, wired or even suffering from a cold, you're better off passing on the audition altogether rather than hoping to "suffer through it." It certainly won't help your child's chances with this particular job, and it might hinder their chances at getting other work because the casting director who sees your whiny/wired child will remember their behavior more than their performance. One almost certain way to ensure your child fails to get an acting job is to instruct them or scold them in the presence of a casting director. It is often cited as the most uncomfortable moments of any casting directors careers, so avoid it whenever possible. If you find that you are living vicariously through your child and forcing them to do something they don't have any interest in, understand that a casting director will more than likely pick up on this sooner rather than later. Casting directors are looking for those parents who will serve in more of a "silent partner" capacity for their children and root for them from behind the scenes. If your child dreams of an acting career, then we encourage them to go for it. But to help better their chances of actually landing something, be sure to take these tips into consideration. What Does a Casting Director Do and How Can I Become One?